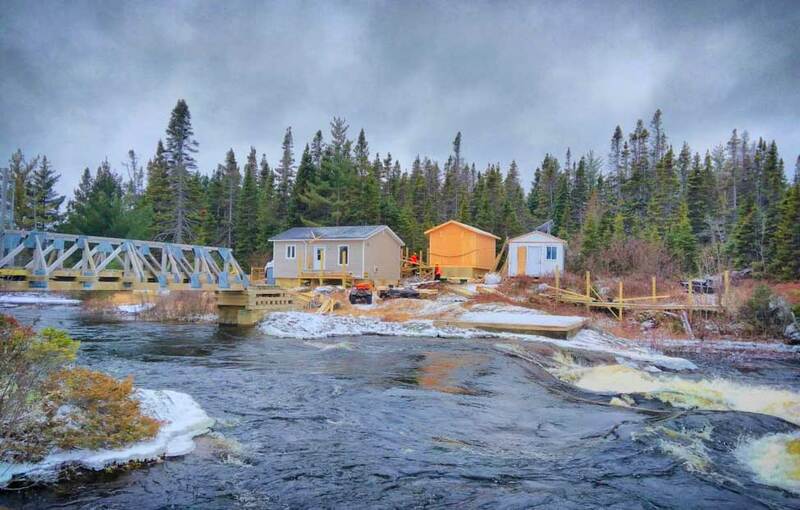 Upgrade Personnel facilities at the Terra Nova Fishway to ensure long-term sound infrastructure is maintained and provided at the remote site. In the summer of 2016, Meridian completed an inspection of the operational facilities at the remote fishway site located on the lower reaches of Terra Nova River in Newfoundland. This included a conditional inspection of the helicopter pad, wooden walking trail boardwalks and two (2) out buildings. Following the site visit, Meridian completed an engineering report recommending upgrades along with associated construction estimates for future planning and development. In 2017 Meridian was re-engaged by the client to undertake a detailed design of the necessary upgrades required and complete tender ready stamped engineered drawings and specifications along with all finalized construction schedules and estimates. In addition to the design, Meridian assisted the client during the tender to clarify any technical questions and completed periodic site visits during construction along with assisting in project management and administrative duties. new timber boardwalks and patio decks. Design of a new equipment shed. Upgrades to the off-grid power supply system and propane system. Repairs to the concrete diversion wall, including construction and maintenance of temporary dewatering devices and structures. The fishway is not accessible by roadway and therefore it was preferred that all construction materials and personnel be helicoptered into site. This posed many challenges to the design team. Every effort was made to optimize the amount and type of new materials required to complete the work. Also, with limited availability of equipment, power supplies and temporary devices onsite, the design had to be tailored to suit the isolated conditions. In addition to these challenges, the work had to be completed during the winter and therefore alternative solutions had to be considered for preparing subgrades on frozen ground and using an alternative material for concrete.